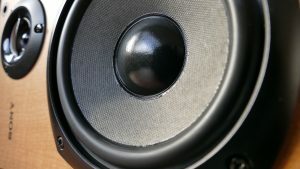 As eco-friendly as third level students have become over the last generation, it remains that noise pollution (or alternatively, ‘noise annoyance’ in some corners) is something that will permeate for all the Freshers, Refreshers and R&G Weeks to come. The recent upgrading of noise disturbances for residents to becoming a finable offence is a marker laid down in opposition of perceived escalating anti-social behaviour. This, and the removal of UCC Christmas Day from the Student Union events calendar have caused substantial grumbling in some corners. Yet, this may just prove to be immeasurably more important to residents – families, elderly people and students alike – for reasons besides peaceful kip. Noise annoyance can produce significant emotional responses. We tend to get fairly aggravated when construction work drones on, or dogs bark seemingly spontaneously in busy neighbourhoods. The term ‘annoyance’ is crucial in that it references the emotional significance of what unwanted noise does – increases stress, anger, and discomfort, and has a knock-on effect in our daily routine. Further, variable sounds and even music design have considerable effects on our subconscious and mental state. Professor Stephen Stansfeld, retired psychiatry professor at the Queen Mary University of London and health researcher, certainly acknowledged the prevalence of loud volumes in modern society and how insidious they are in nature to detrimental health issues. Stansfeld’s studies reflected the long-term and intrinsic problems of high noise levels, centering around many studies of airport noise and how residents noted increased stress levels that lead to an increase in physiological disturbances, like escalations in blood pressure, heart rate and the ensuing effects on cholesterol deposits and vascular damage. The deep-rooted psychological impact of sound on humans’ physical states has been a fascinating one to track. 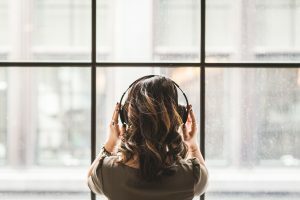 Regular sound healing therapy sessions are offered to help relieve anxiety; it seems intuitive that soothing noise may aid the body as much as detrimental, harsh sounds may decrease life spans. Even in film media, soundtracks have implemented a technique called the “Shepherd tone” to subliminally infer a feeling of rising dread and tension on the viewer without measurably getting any louder in decibels. The ability to warp sounds and deter noise’s effects on the human body may be something feasible in future society, but for now it’s something that’s in the control of city and state legislation. Additional, when researchers noted that child learning and recall ability seemed to be stifled, by delaying normal reading comprehension development by up to 2 months for every 5 decibel increase in aircraft noise exposure, as well as considerable effects on long-term memory and attention spans. 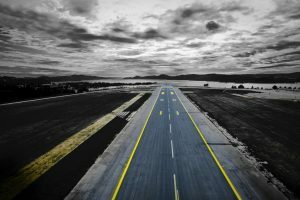 This study, the RANCH project, looked at the detrimental effects both airport noise and road traffic noise had on children in the classroom in various European schools from 2001-03. So is there any foreseeable respite for the effects noise has on humans in work and school? Stansfeld admits that the length of noise exposure is key, and it may not clear soon. Estimated costs of noise pollution rack up to roughly €2.47 billion per annum, combining effects of lost work days, healthcare treatment and lost productivity, and when figures stand that large, it should be noteworthy not just on the important welfare side of the argument. Stansfield’s work on the new WHO Environmental Noise Guidelines, due out this year, will stand to combat the escalation of noise levels that comes tied to the ever steady march of changing civilisation density in cities and towns, where the focus is on building upwards, as well as outwards in urban areas.